The one thing that really surprised me this time going through this game was how DIFFICULT the ending stages were, like pretty damn tricky. The presentation is probably the best you'll see form a PS1 game and that's probably the stand out point of it. 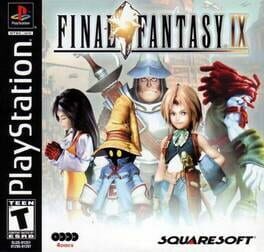 The real thing that holds this game back from being TRULY amazing (like FF7 or 6) is that it is WAY too slow paced. The battles especially just slog the game down from the beginning, so much so that if I wasn't playing this on the PS4 version where I could speed things up I may not have wanted to play through it again. Otherwise, the characters were well written and fleshed out, the scenario while somewhat cliche was only taking from and homaging what came before and it works very well. In the end, a very enjoyable game that desperately needed to be sped up all around.